Designer table with high finish chrome base and linen shade. 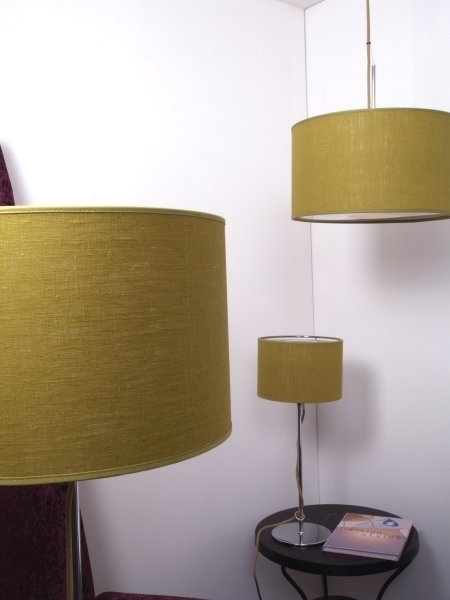 A quality range of lighting from a Swedish family run company. Unlike many lighting manufacturers, the factory in Varberg, south western Sweden employs 160 people and undertake product design, production and quality checking in-house. These products are of the highest quality and many products in the range have unusual features or benefits giving them a feeling of quality. Add some interest with colour to a neutral room scheme or find an excuse to accessorise with one of these gorgeous table lamps. 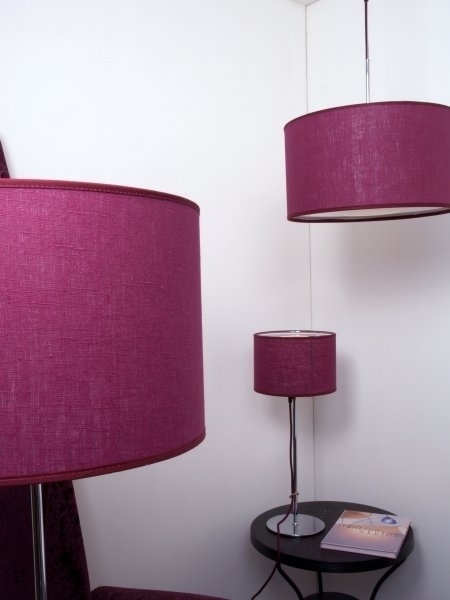 Floor lamps and pendants are available to match. 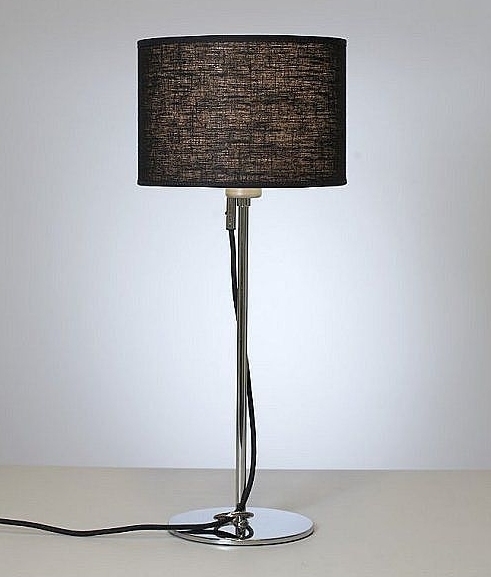 A contemporary styled table lamp with the unusual and unique twist of a visible colour co-ordinated cloth braided flex to match the linen shade. 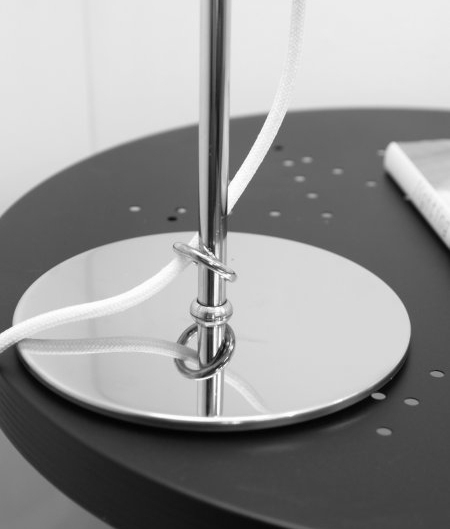 The braided cord passes through a hoop in the base and is visible all the way up to the lamp holder. Although these have been discontinued we have good stock levels, please call us if you require a large quantity, 01780 767617.